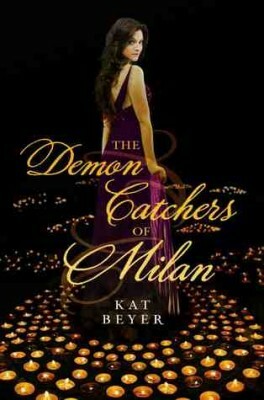 I have more posts about novel writing in the works, but today’s my deadline for the edits on the sequel to The Demon Catchers of Milan so here’s a flash fiction reprint instead; hope it makes you laugh. My aunt left me a house. Well–I was the third cousin in line, anyway. The first two didn’t manage to spend a whole night alone in the place, which is what she asked them to do in her will. Of course the house is on the edge of town on a high hill, and of course it is surrounded by gnarled trees that need pruning. I walked up slowly, feeling more forty-five than ever, and thought to myself, ‘This place isn’t any more gloomy than it was when I was a kid.’ But I’d come in the afternoon on purpose. Not smart arriving at dusk. The caretaker had left me a dinner in the fridge, and I ate it out on the front porch. It was that first day in September when you know summer is gone for good, and the wind gets tricksy and just a little bit mean. I had this odd idea that if I turned on her ancient television set I would see her face, so since no one was around to catch me being a superstitious idiot I read a book instead. I went to bed early, 8:30 by my wristwatch (of course all the house clocks were stopped by other superstitious idiots). At nine I thought I heard my name: “Rooobert? Rooooobert?” But it turned out it was just the door creaking open in the wind. At eleven I woke up with a start. Someone was grunting, “Who’s there? Who’s there?” in the corner. Shaking, I turned on the light, and saw a bullfrog that had somehow made its way into the house. I took a pretty glass bowl from the nightstand, scooped the fellow up, and took him outside. “A tad late in the season for you, little guy?” I said as I liberated him. She stared at me, and believe me a ghost with eyes half out of her sockets can stare. “Anyway, I finished all my pie tonight,” I added reproachfully. We spent the rest of the night catching up on gossip since the funeral. She still shows up sometimes. It annoyed my wife at first, and she’s a good-natured woman as a rule. But the kids think it’s cool.